San Francisco Giants fan, and most importantly, a father of two. Reading it makes me sick to my stomach and saddens to the depths of my being. I have lived and breathed NL West baseball since before I could walk or talk, so it’s difficult for me to objective when I speak of the Dodgers, Giants and Padres specifically. In this instance, however, fanhood is trumped and humanity prevails… I can be objective. Actually, I take that back, nobody can be objective speaking about a brutal attack that has left a man in a coma and brain damage…everybody should feel emotions about this. About the teams, however, I can be objective. 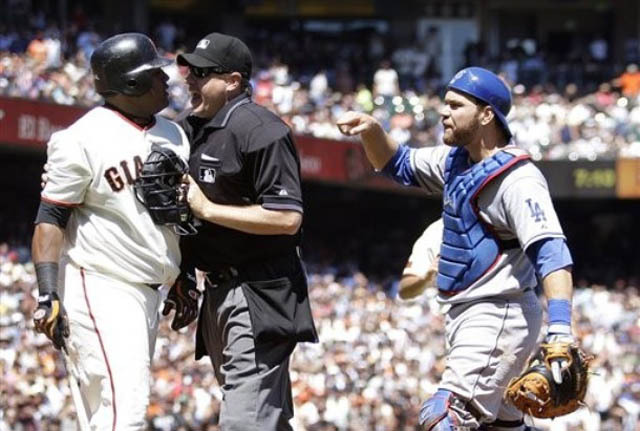 Violence between Giants and Dodgers is, sadly, not a new trend. Not in the stands, the parking lot, or even the playing field. 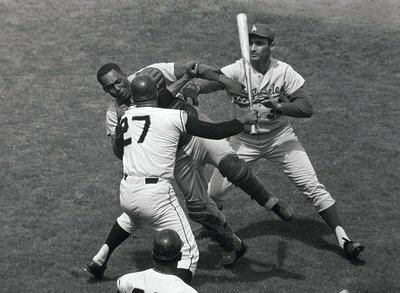 I remember as a little kid my father describing to me the rivalry, how both teams came to the West Coast from New York City in the late 1950s, and about how in 1965 the Giants Juan Marichal took a bat to the Dodgers catcher Johnny Roseboro. I’ve been to the Oakland Coliseum for a Monday Night Football Raiders game against my San Diego Chargers. I’ve been to countless Dodgers/Giants, Dodgers/Padres, and Padres/Giants games. I know how alcohol and fanhood, independently or combined, can cloud the judgment of good people and lead them to do things that they will immediately regret. It does worse things to bad people. 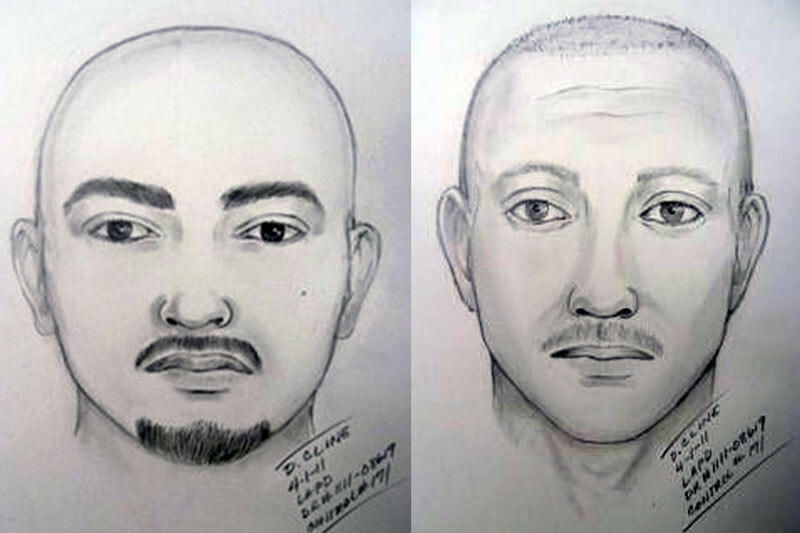 Here are sketches of two bad people. Take gangs for example. When I read of the story about Stow at Chavez Ravine, I couldn’t help but think of the ESPN The Magazine story that ran a while back called “Capology“. The less educated out there are going to read that and think that I’m just racial stereotyping. 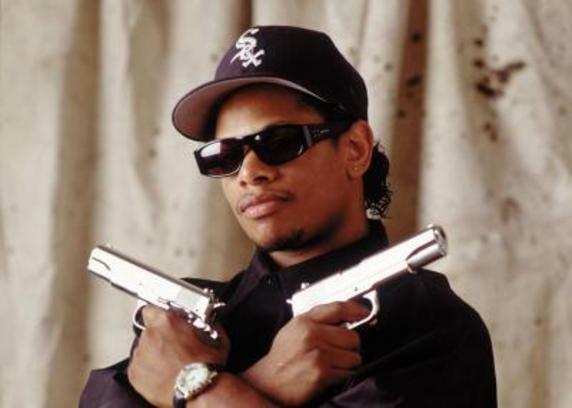 Call it what you want, but I’ve been to over a hundred games at Dodger Stadium in my life and I know that great fans show up… and I know gang bangers show up. The picture above…that’s an artist rendering, nothing more. I don’t judge them based on how they look, I judge them based on what they did. They’re criminals. Gangs have always looked for ways to set themselves apart by their attire, and they have adopted MLB hats to show where their allegiances lie. This isn’t a new thing, gangs have done this for decades, maybe longer. I didn’t particularly think ESPN magazine piece was a good article, shallow on content with very little research. I do, however, think it brings up a very valid point… just because you see a dude wearing a ball cap on the street, that doesn’t mean he’s a fan of your team. Back in 2007, MLB and New Era joined forces to create a line of hats that looked like this. Yeah, those would be Blue and Red bandanas across the NY Yankees logo. Doesn’t take a gang expert to notice the Crips and Bloods connections here. Bloods wear red bandanas, Crips wear blue bandanas. In another idiotic move, MLB allowed the release of this hat, which was, not shockingly, adopted by the Latin Kings. In an effort to correct their mistake, MLB stopped production of these hats and pulled them from the shelves. Smart move, but sadly, I don’t know if it did any good… a PR move, really… because gangs will adopt hats even if they are not specially made for them. 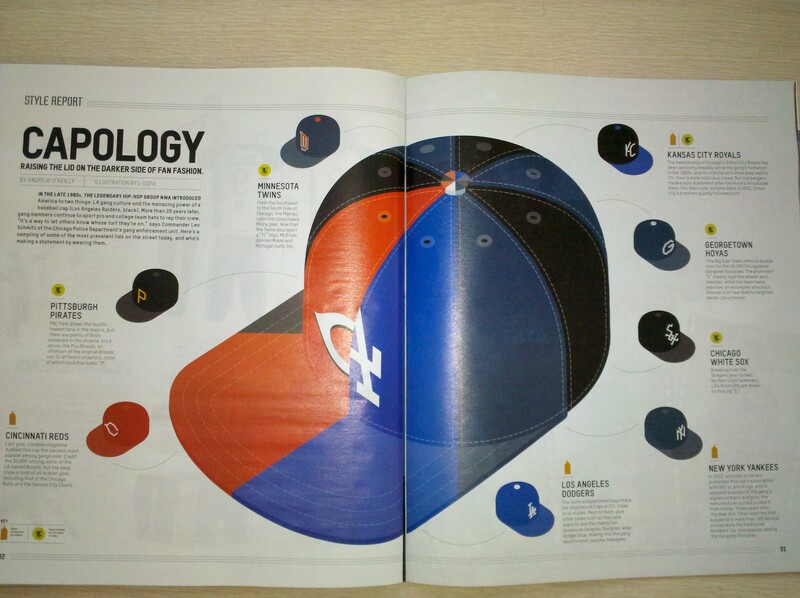 In 2010, Complex wrote an article called “Rep Yo Set: The 10 Most Gang Affliated Hats in Sports” No big surprises here. Cincinnati Reds hats and LA Dodgers hats are the most popular. It’s all just depressing to me. I’ll be honest, I am one of the first guys to get into a fun verbal sparring match with another teams fans, but I’d like to think I know when to draw the line. I recently wrote about the worst part of my Padres Home Opener experience…having to play babysitter for some Padres fan who had it out for every dude supporting the Giants. But the violence that is going on at games these days, hell… in LIFE these days, is depressing. Is it the right thing for the Dodgers and Giants to increase security like they are? Of course. Is it sad that they have to? Of course. In case you haven’t picked up on it… I’m officially standing on my soap box. I grew up in Ventura, just south of Santa Barbara on the California coast. In Jr. High… somehow I managed to anger a “gang” in Ventura…called the Haoles. I think it happened during a slide tackle in my AYSO soccer game. My Jr. High mind remembers the origin of the group like this. A group of dudes, some surfers, all white guys, went on vacation to Hawaii… the locals called them Haoles. Despite the insult, they liked it…so they came home and started what they called a gang. Were they the Bloods, Crips, or Latin Kings killing people on the streets like Menace II Society and Boyz N The Hood? No, not at all… but they scared the crap out of me. They came to my Little League field once with bats and chased me around…they’d sit near me at high school football games on Friday nights and wait for me to leave my dad’s side. I hated these kids. They, like most gangs, had to let everyone know who they were…what the “claimed”. They wore Converse Chuck Taylors with black laces… had to be black. They wore Levi’s jeans… button fly only and they would cut out the top fly so the buttons were exposed…5 buttons, symbolically spelling H-A-O-L-E…white T-shirts, and of course, they had an MLB hat. 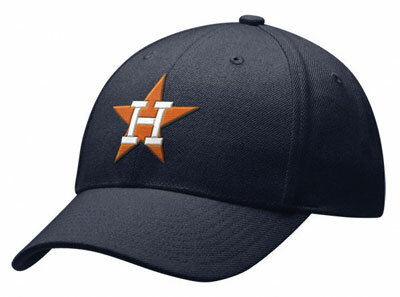 The Houston Astros hat… the H was just too perfect to pass up. Well, one of these dudes in particular took a real fancy to me… making my life miserable, and reality or not, had me constantly looking over my shoulder when I was out and about around town. In hindsight, it all just seems so silly. Toe to toe, I was much bigger than this kid, but I was still in fear of the Haoles. A “gang” that, I have not heard of since high school, and I’m sure no longer exists. In college here in San Diego, one of my best friends, J-Dub, went home for our freshman year while I stayed in SD. He worked construction with none other than Stevie Jenkins… the aforementioned punk kid Haole who tormented my Jr. High life. Turns out he was a great guy… incredibly nice, super genuine, and a loving, funny, caring, hard working dude. J-Dub loved hanging out with him. My best buddy hanging out with my middle school nemesis. Oh, the irony. I got a kick out of this and then never really thought much about Stevie Jenkins. We grew up, our lives had moved on…so I thought. Then one day someone forwarded me a link from the LA Times. Stevie Jenkins got into an argument at a local sushi joint and was shot in the face from point blank range and instantly died. Murdered at the age of 23. Apparently he had just recently cleaned up his life, stopped drinking, and enrolled in school. A new man. Then he got shot. I’m not ever really sure why I’m writing all this… but somehow, this story of Bryan Stow reminded me of Stevie Jenkins. They aren’t parallels by any means, not even close… I’m not suggesting either was in a gang at the time, or looking for a fight… I was just reminded of Stevie’s tragic fall when I heard of Bryan Stow and his grave condition. Two guys at the wrong place, at the wrong time. Bryan Stow was assaulted by some guys wearing Dodgers hats that may or may not be gang bangers… Stevie Jenkins used to wear an Astros hat because he was trying to fit in their small little Ventura Jr. High version of a gang. In the end, nothing good comes from gangs and it breaks my heart that so many kids out there fall into this trap of believing that a gang will bring them happiness and security. It will break my heart even more if MLB doesn’t do something about the problem that gangs present in the stands at baseball games. I love baseball fans. I love cheering for your team. If you show up to the stadium, I want you to wear your teams gear…regardless of who the home team is. You paid to be there, you cheer for your team. Cheer hard and loud. When the other team does well… handle it in stride… it’s a game, our national pastime, and it’s meant to be enjoyed. So enjoy it, but enjoy while respecting the people around you. 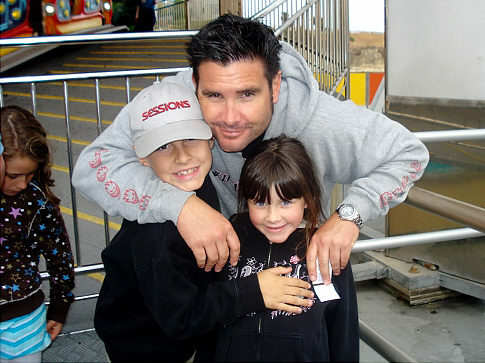 If you want to donate to the Bryan Stow Fund can go here or contact the San Francisco Police Credit Union c/o San Mateo Branch, 1495 S. El Camino Real, San Mateo, Calif. 94402. 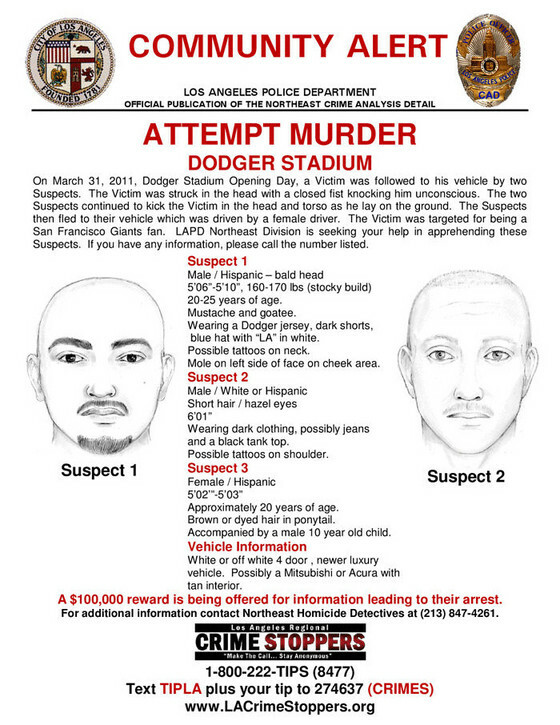 If you have any information on those baseball fan impersonators in LA, do the right thing… let justice be served. This entry was posted in Baseball, Events, MLB, News, Sports and tagged AYSO, Bandanas, Baseball Rivalries, Bloods, Bryan Stow Fund, Capology, Chavez Ravine, Chuck Taylor, Complex, Converse, Crips, Dodger Stadium, Dodgers, ESPN, ESPN THE MAGAZINE, Gangs, Giant, Giants, Haole, Haoles, Hoale, Houston Astros, Johnny Roseboro, Juan Marichal, LA Times, LAPD, Latin Kings, Los Angeles, Los Angeles Dodgers, MLB, MNF, New Era, New York, New York city, NL West, Padres, Raiders, Rivalries and Major League Baseball, San Diego Chargers, San Diego Padres, San Francisco, San Francisco Giants, Stevie Jenkins, Ventura, Yankees. Bookmark the permalink.